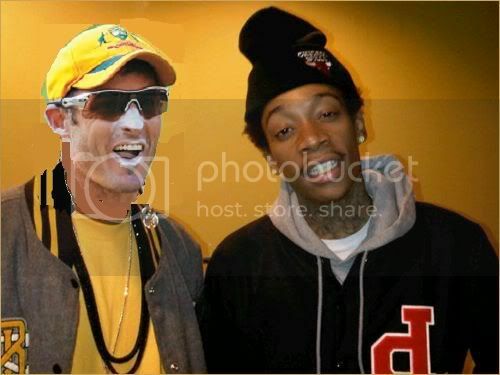 Wiz Khalifa the owner of the lucrative franchise the Pittsburgh Pirates is proud to announce the signing of highly prized player Michael Hussey. Michael Hussey has a glorious average of 40.13 in Twenty20's and strikes the ball at 125.93. Has a great knack of timing the ball for boundaries. "He is a great player and ambassador for any team", says Khalifa, "he is an asset to any given team"
Last edited by BengaliPagol; August 11, 2012 at 06:47 AM..
Btw since you couldn't be here because of the time difference and failed to leave me anyways you were going to be skipped. But I was generous and gave you some players. Even though the rule says after 6th round teams will just be skipped, with only make up chances at the end of the official draft rounds. Since you are in Aus, it was tough to apply that to you. But from here leave me some names. Here are you picks. You needed fast bowlers, I got you Southee and Lee. You needed a keeper, I got you B Taylor. You needed an opener, I got you Ian Bell. It's actually unfair on the other players if the commissioner has to pick for you. I had wanted a couple of your fast bowlers and if Dilscoop hadn't stepped in, maybe I'd have them by now (assuming you didn't have your eyes set on them to begin with). Dilscoop said i would be picking at around 12pm so i didnt leave my picks. But it seems like my picks happened at 3am. And as well i have to pick last anyways so by that time all the good players are gone. As well as you im a bit disadvantaged as well. And i think my tactics are changed now cos i had other players in mind that i wanted to pick but since i got the players picked for me i have players that i dont want. I know the time difference, and thats why I went my way to pick for you, which is very unfair to the others. Although I did pick players that weren't on their lists. I did not see those names before. Would you much rather have blank spots and make up after all the rounds are over? Should've left some names bro. We had almost everyone online, and we finished about 4-5 rounds in like 30 min. I couldn't wait for you and stop that production. It was fast! ^ I hope you know Lee and Vettori will miss out on the first 2 rounds of MLC, so better get some good replacement. Injury list got updated at the beginning of the draft, should have read all the rules. I started midway so i wasnt notified about any 'rules'. And Dillu asked if any can explain the rules to me but it seems like no one wanted to fully explain the rules to me. No bro. I updated the rules after the hangama (not sure if you were here for that), after the league cut it short to 12 teams from 16. I thought I put draft rules nicely and clearly on the Draft Thread. If you didn't bother reading any of it then you can't blame people for not explaining the rules to you. You should still check out the front page of Draft Thread. I didnt notice it was on the front page of the draft thread. Ill read it now. See. It's all on you bro. i didnt mean the draft. I meant about how everything will work out after the draft. Whats going to happen after teams will be finalised. I still dont understand the concept of MLC. If you didn't bother reading any of it then you can't blame people for not explaining the rules to you. im talking about the concept of MLC. Whats going to be happening. Is there a set of rules for that? I meant that no one explained to me the concept of MLC. So im basically dont know what im doing. What was the point of picking the stadium and pitch detoriation and etc. I dont know whats gonna happen after. BP you will still be fine, cause Lee and Vettori will only be out for 2 rounds, after that you can start playing them. Other people picked Shakib, Gayle and they will miss out 2 rounds too, so don't worry about it. You can still pick up good players and get a balanced team. oh! Man! You must be really confused. lol. It's a simulation. Everything you did so far, from making pitches, picking coaches, and of course most importantly, drafting players will be counted into the simulation. You guys will play WU matches, and everything will make sense then. thanks for your words of comfort. Weak Opening. Very strong Middle order. Weak Spin bowling options. Strong Pace attack. Its bouncy. Thats why their is only 1 spin option. Plus i recently got Rahul Sharma and Munaf Patel. So gonna replace Southee for Munaf. But i would say that my opening pair is strong due to Hughes average of 50 in t20s and Birts ability to strike the ball. Last edited by BengaliPagol; August 17, 2012 at 01:16 AM..